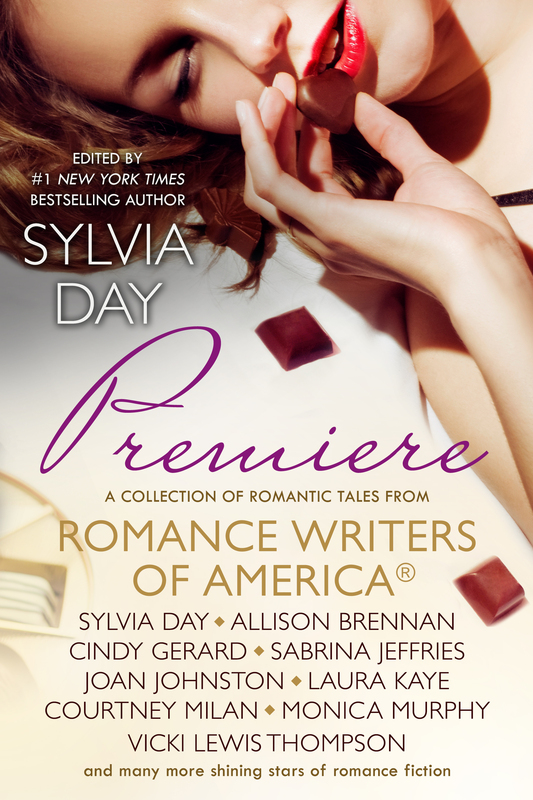 From Romance Writers of America comes a never-before-published collection of tales that showcases the breadth and complexity of the world’s most popular genre of fiction! As Emery Morgan parked her car in front of Kane Brothers Tattoo, she hoped she wasn’t making the biggest mistake of her life. Or, at least, the third biggest mistake, since falling in love with professional football quarterback Hunter Jameson and getting a tattoo of his team logo and jersey number had the top two spots locked up tight. The dark doors of the red-brick tattoo shop taunted her, tempted her, dared her to enter. Just as she had a little over a year ago, when she’d gone in to get a special and very personal wedding present for her then fiancé. Enough, Em. This will be different. Yeah, it would. Because that ink she’d done for Hunter. This ink she was doing for herself. A year was more than long enough to spend grieving and wondering how it all had gone bad—and why she hadn’t noticed until Hunter looked at the tattoo, told her he wished she hadn’t done that, and ended their five-year relationship. Today, Emery should’ve been celebrating her first wedding anniversary. Instead, she was starting over by getting rid of the last reminder of those mistakes. Because the number seven had not turned out to be lucky for her; it had turned out to be unlucky, painful, and very, very wrong. Clutching her scarf around her throat, Emery jogged to the doors and into the wide foyer of the shop, hurrying so she didn’t have time to overthink her plan and chicken out. Compared to the frigid chill of Pittsburgh’s winter outside, the warmth inside combined with the sultry strains of a southern rock song to make her feel welcomed. Or maybe that was just because she’d been to Kane Brothers so many times—not for her own ink, because she only had the one, but with Hunter, who used Ronan Kane exclusively for all of his tattoos. Ronan Kane. As her gaze scanned a wall of vibrant designs, Emery’s stomach flipped at the thought of the man who had drawn her wedding gift to Hunter permanently on her skin. When she’d come up with the idea of the tattoo, she’d known Ronan was the only one to do it. Many times, she’d gone with Hunter and watched as Ronan carefully put needle to skin and made something beautiful appear that had never existed before. Saying Ronan was talented was like saying Pittsburgh’s fanatic fans kinda liked football. Ronan was a master, an artist, a god with a tattoo gun in his hand. So he’d been the only one for her. How ironic that she’d put her trust in the right man with her skin—because Ronan had managed to take the hard lines of Hunter’s number and the masculine team logo and make it pretty and feminine on her shoulder—while blowing it so spectacularly in trusting the wrong man with her heart. Oh, that voice. Fine whiskey on a cold winter’s night. Emery turned slowly, hesitant to see the expression on Ronan’s face. Would Ronan find her naïve, presumptuous, pathetic? Or D: All of the above? After all, she was no one compared to Pittsburgh’s hometown hero—after Hunter had dumped her, the gossip rags had made that crystal clear even as they’d fawned all over Tiffany Ames, his new actress girlfriend. And since Hunter was a celebrity client who brought business and notoriety to the shop, no doubt the tattooist would feel the same. “Uh, yeah. What about?” he asked, bracing his hands against the counter. The position drew her gaze to the abstract black design that covered his skin from cuffed sleeve to fingertips on his right arm. She nodded as her stomach began a steady fall to the floor. “Yeah?” Emery really hadn’t intended the upward lilt in her voice that turned the declaration into a question, but the man’s expression was part incredulity and part…something she couldn’t name. And then it hit her—had she offended him? Did tattoo artists find it offensive to be asked to cover their own work? “I’m sorry,” she blurted. “I wasn’t trying to offend you. I just figured the person who did the original work would have the best sense of how to design something new over it.” Not to mention that Ronan was the only artist she could trust not to expose the existence of the tattoo. How embarrassing it would be if the tabloids found out. Luckily, Hunter had kept his mouth shut about it, but she couldn’t count on a stranger to do so, too. Butterflies tore through Em’s belly at the words. Which was ridiculous, since she was nursing a broken heart and he was simply offering his services. But with his dark eyes and brown hair worn a little longer on top and his miles of ink and his perpetual facial scruff, possessing Ronan would be anyone’s dream come true.